China’s crackdown on Christianity has increased ever since Xi Jinping was able to alter the constitution, a move that tightened the government’s control on religious activity and extended his presidency indefinitely. 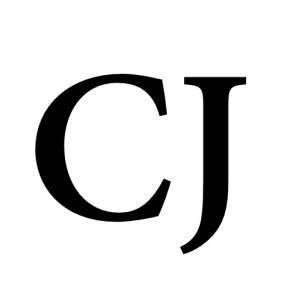 In recent months videos have been released showing the removal of crosses from churches as the Religions Affairs Regulations went into effect on Feb. 1. A brave Christian woman named Zhou Jinxia risked it all to deliver an important message to Xi Jinping on March 15. She made the trip to Dalian to reach the front gate of the former imperial garden and display a sign that said, “God loves the people of the world and is calling out to Xi Jinping.” She hoped that Xi might see her as he arrived for the National People’s Congress (NPC) and the Chinese People’s Political Consultative Conference (CPPCC). An anonymous source informed ChinaAid that this wasn’t the first time Zhou had reached out to Xi Jinping. 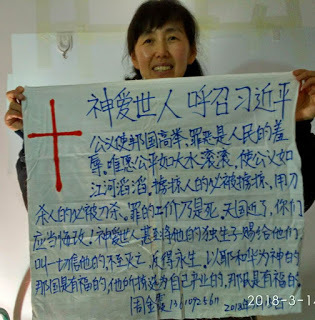 In March 2016, she was arrested for a sign that said, “God loves the people of the world and is calling out to Xi Jinping and [Xi’s wife] Peng Liyuan. Atheism nurtures sin and brings down the people. The kingdom of heaven is at hand; you should repent.” The police called this an act of “disturbing social order” and Zhou spent 10 days in administrative detention. With a heart to share the Word of God, Zhou traveled to the same area several times and each time has faced the consequence of either being abducted or detained. The anonymous source is concerned that this instance may be different because of the harsher rules that were recently put in place. Today we also reported that members of house churches are being put on house arrest. It’s saddening to read that our brothers and sisters in China are being persecuted to such a degree, and it only seems to be worsening. Please pray for the persecuted, for the bold and unafraid Christians like Zhou that have such a passion to spread the message of salvation that they would face the Chinese government’s consequences. May she be comforted by the love of Christ at all times. Next articleBrainwashed Teens Reason Behind March for Our Lives Protest!